Swimmer’s ear is also known as otitis externa. The most common cause of this infection is bacteria invading the skin inside your ear canal. Usually, you can treat swimmer’s ear with eardrops. Prompt treatment can help prevent complications and more-serious infections. Drainage of clear, odorless fluid. A lot of drainage from the ear. 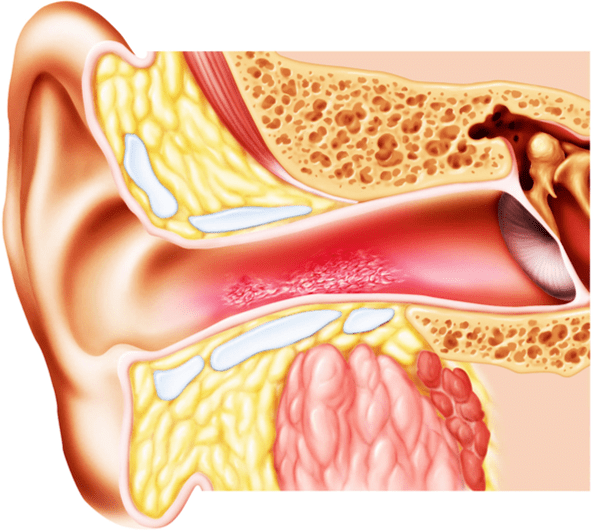 Feeling of fullness inside your ear and partial blockage of your ear canal by swelling, fluid, and debris. Severe swelling that blocks your canal. If you are feeling any of these symptoms, even if they are mild, come to Rio Grande Urgent Care. Keep your ears dry. Dry your ears thoroughly after exposure to moisture from swimming or bathing. Dry only your outer ear, wiping it slowly and gently with a soft towel or cloth. Tip your head to the side to help water drain from your ear canal.